German manufacturer EASY-ROTOR-CONTROL features interfaces that allow direct USB control of some 90 different antenna rotators for point and click operation from either ERC provided software or many popular transceiver control and logging programs like Ham Radio Deluxe and N1MM. 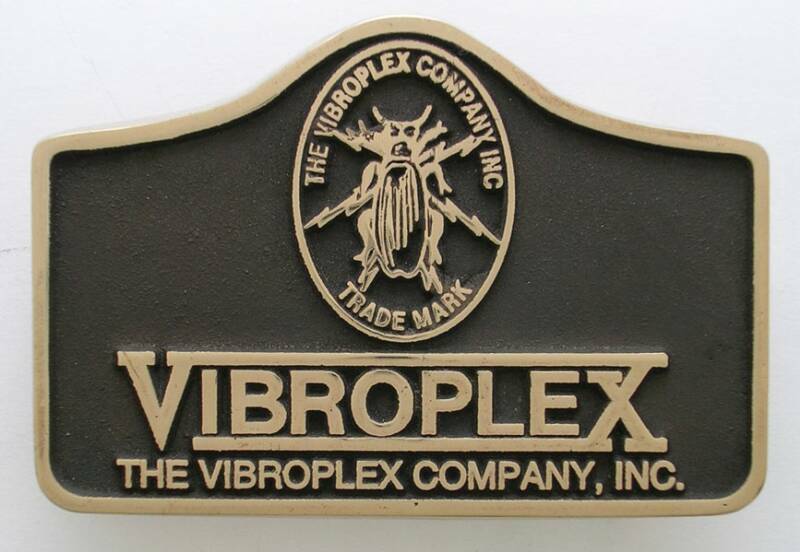 Vibroplex is the USA and Canada distributor for this product. Links to individual product pages are shown at the top of this page. Supported software, rotator compatibility guide, the instruction manual and a comparison to competitors products is available. 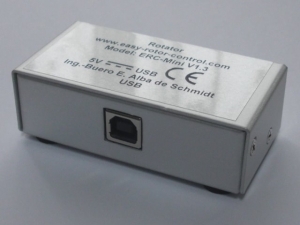 ERC Mini DX: Azimuth control for the Yaesu G800DXA/1000DXA/2800DXA and DXC rotators. 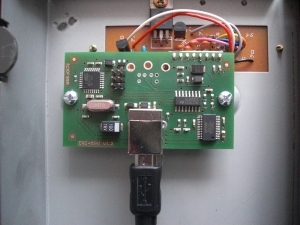 External box connects to USB on your PC, 6 pin DIN connection to EXT CONTROL jack on rear of rotator control box with supplied cables. Sold assembled only. Not a kit. $115 plus shipping.